Industry specific initiatives are on the rise. Accessibility and ease-of-use is key to any successful sector-wide project. 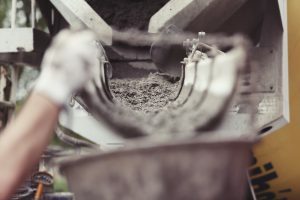 The cement industry provides a good example of how coordination can improve program deployment and ultimately the environmental performance of organizations. The Cement Sustainability Initiative (CSI) commissioned Quantis to develop a user-friendly online tool for the preparation of Environmental Product Declarations (EPDs) of clinker, cement, concrete, lime and plaster. Having a cloud-based platform facilitates the process and reduces up to 50% the costs of preparing EDPs. The tool ensures consistency across industry reports because compliant with all key Product Category Rules (PCRs) for the industry. The CSI EPD Tool was the first officially pre-verified EPD tool as part of the International EPD® System. The CSI, part of the World Business Council for Sustainable Development (WBSCD), is a global effort of 24 leading cement producers with operations in more than 100 countries. Collectively, these companies account for around 30% of the world’s cement production and range in size from large multinationals to smaller local producers. To date, the CSI remains one of the largest global sustainability programs ever undertaken by a single industry sector. The CSI EPD Tool is also now adapted to the U.S. context. The Portland Cement Association (PCA) and the CSI looked again to Quantis to develop a version of the tool that includes reference PCRs for cement and concrete specific to the U.S. The Portland Cement Association (PCA) is a powerful and vocal advocate for sustainability, job creation, economic growth, infrastructure investment, and overall innovation and excellence in construction throughout the United States. Headquartered in Skokie, Illinois with offices in Washington, DC, PCA represents America’s cement manufacturers. To learn more about the tool, download the CSI EPD Tool Flyer, read our case study or contact Arnaud Dauriat, Quantis Lausanne Managing Director.